Kelly Stayton and DF Magnifico win the Arabian Western Pleasure Select AATR. Photo by Mike Ferrara. The end of October means Arabian horses in Tulsa, OK, and right now 1,565 of the world’s finest Arabian, Half-Arabian and Anglo-Arabian show horses are competing for 134 national championship titles. The U.S. National Arabian and Half-Arabian Championship Horse Show (U.S. Nationals) is underway at Expo Square through October 30. U.S. Nationals is the flagship competition for the Arabian horse industry and is produced by the Arabian Horse Association (AHA) of Aurora, CO. The nine-day show is the grand finale of the Arabian horse national show season, which also includes Youth Nationals, Canadian Nationals and Sport Horse Nationals. 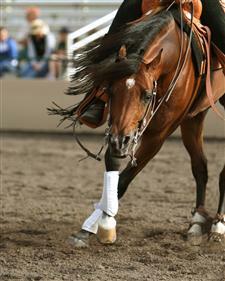 The show hosts 134 classes across several disciplines, including English, mounted native costume, pleasure driving, reining, halter, working cow, hunter and Western pleasure. This year 45 states, six Canadian provinces and a total of eight countries are represented, making for outstanding competition. September 17 2010 – Lexington, KY – The United States Equestrian Federation (USEF) has named the following horse/rider combinations to the U.S. Dressage Team for the 2010 Alltech FEI World Equestrian Games to be held September 25-October 10, 2010 at the Kentucky Horse Park. WESTPORT, CT – September 10, 2010 – Nominations are now open for the Second Annual USEF/The EQUUS Foundation Humanitarian Award. In 2009, the United States Equestrian Federation (USEF) and the The EQUUS Foundation jointly established the Humanitarian Award to celebrate the humanitarian achievements made by a member of the equestrian community. Specifically, the goal of this humanitarian honor is to spotlight and exalt the selfless dedication one individual or a group of individuals has made, whether on a regional or national scale. From improving the health and welfare of the horse to promoting and expanding the general public’s appreciation and respect of the diverse role of horses not just in equestrian sports but also as aides to the general public, the recipient of this award will be someone who has devoted considerable personal time to making the quality of life of our equine partners paramount. The award will be presented at the 2011 USEF Pegasus Awards Dinner during the Federation’s Annual Meeting in January. The recipient of the Humanitarian Award will receive a $5,000 grant from The EQUUS Foundation to be awarded to the equestrian or horse-related charity of his or her choice. I’ve been traveling a lot recently and have been part of numerous conversations about the Alltech FEI World Equestrian Games. While in Aachen, Germany last week, I had the opportunity to talk about Games planning. I heard from quite a few people who said they wanted to attend, but were hesitant because of rumors that hotels are sold out. Not so! There are plenty of rooms available with an assortment of rates. Click on the image of the map attached. This is an interactive tool – simply drag your mouse over the cities listed to find out which hotels still have space, as well as rates, proximity to the Kentucky Horse Park and availability of shuttle service. It’s easy to make reservations using the Games website at www.alltechfeigames.com. Look for the “accommodations” tab on the lower right side of the home page. Here in the States, there’s another rumor going around that parking and transportation will be a problem. Nothing of the sort! There are three easy ways to get to the Kentucky Horse Park: LexTran city buses will be leaving downtown throughout the day with an incredibly low round trip rate of $2; Select hotels are offering shuttle service for $15 round trip; and if you want the convenience of driving to the Park, parking is available within walking distance for only $20. There really is a price and level of convenience for everyone. With only 63 days till opening ceremonies, make your reservations now as tickets are going fast. For direct links to ticketing, as well as hospitality, visit www.USEF.org/WEG/tickets/. Please share this message with your colleagues and friends. 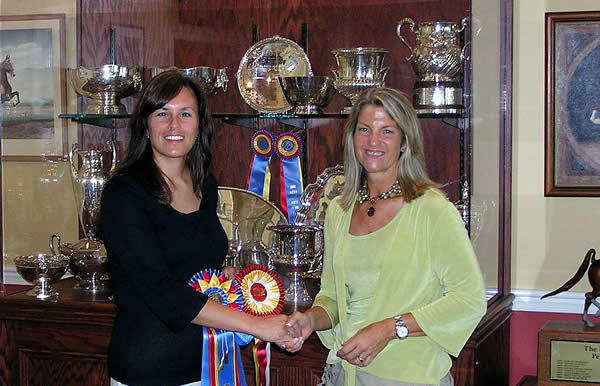 Johnny Robb (right), the Director of Marketing for the American Shetland Pony Club, and Lori Nelson (left), USEF Assistant Executive Director, National Affiliates are excited for ASPC members who attend the 122nd Shetland Pony Congress Show this year. Morton, IL (June 21, 2010) – Small equines from all across the nation who attend the 122nd Shetland Pony Congress Show this year will not only compete for National Championship titles but will also have the chance to win one of the new USEF Shetland Member High Point Awards provided by the United States Equestrian Federation. The Shetland Pony Congress Show, August 2-6 in Ardmore, Oklahoma, will feature some of the best Shetland Ponies in the country competing in classes such as driving, halter, jumping, youth and costume classes. The United States Para-Equestrian Association Joins Phelps Media Group, Inc. Logo of the United States Para-Equestrian Association. Photo © 2010 Logo created by Deb Phillips at MagnumCreative.com. Thousand Oaks, California – May 4, 2010 – Phelps Media Group, Inc. International (PMG), a leading public relations firm specializing in the equestrian industry, is pleased to announce that the United States Para-Equestrian Association (USPEA) has joined the expanding list of clients. 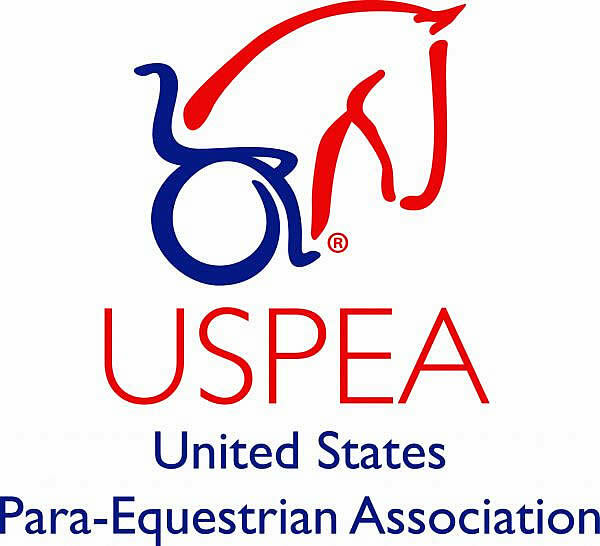 The USPEA includes every equestrian discipline that is practiced by athletes with physical disabilities specifically dressage. Each rider or driver competes under the eighth discipline, the Para-Equestrian discipline, of the United States Equestrian Federation. This year at the 2010 Alltech World Equestrian Games the Para-Equestrian discipline will make history. The USEF High Performance Para-Equestrian Dressage team will compete as an FEI sport for the first time at the 2010 Alltech World Equestrian Games held in Lexington, KY.
March 19, 2010 – Lexington, KY – Do you have a world-class Reining horse in your barn looking for a rider on which to represent their country? Scores of athletes from around the world will be coming to the US this fall to compete in the Alltech FEI World Equestrian Games – one of the most prestigious equestrian events in the world. Many of these international competitors will be seeking quality horses to lease for the duration of the competition. Horses must be actively competitive and at least six years of age to qualify. Ever thought your horse might turn up on TV on a major network? This is a once-in-a-lifetime opportunity to support the athletes from around the world and help grow the western horse sports internationally. Now is your chance: let your horse fulfill its potential on the world stage and take part in history. Get your horse’s paperwork started and on the “available” list today! Already, there are riders ready to talk to qualified horse owners. To add your name to a list of contacts for interested reining athletes please contact Brad Ettleman with HorsePower, Reining Manager to the Alltech FEI World Equestrian Games, at 720.982.3574 or Brad@HPowerInc.com. March 31, 2010 – Colonels Smokingun, better known as Gunner in the reining world, has recently been named the unofficial eighth National Reining Horse Association (NRHA) Two Million Dollar Sire. He accomplished this only three years after being named a NRHA One Million Dollar Sire. This was, in part, due to the recent successes of his offspring at the 2009 NRHA Open Futurity, the 2010 NRHA European Futurity and the 2010 Cactus Reining Classic, which brought his unofficial total NRHA offspring earnings to $2,000,453. Gunner was the first American Paint Horse to achieve the NRHA million-dollar mark, and is now the first Paint to reach the two million dollar mark. Sired by Colonelfourfreckle (AQHA son of Colonel Freckles) and out of Katie Gun (AQHA), the bald-faced stallion, which is registered with the American Paint Horse Association (APHA), has an impressive lifetime record with the association. 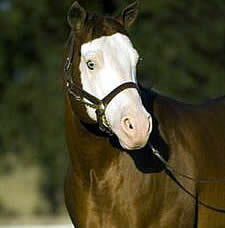 He won back-to-back World Championship Paint Horse Show Open reining titles in both 1996 and 1997, in addition to the other reining honors he earned throughout his career with APHA.